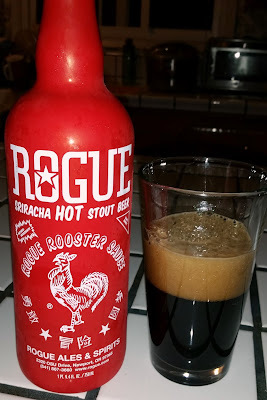 Rogue Sriracha Hot Stout - AoM: Beer et al. INGREDIENTS: Huy Fong original hot chili sauce and sun ripened Rogue Farms ingredients. Rogue Sriracha Hot Stout Beer is a collision of crafts with Huy Fong Foods, the world-renowned brand behind the iconic Sriracha Hot Chili Sauce.